Hypno-psychotherapists should be trained at masters level and are trained to deal with deep psychological issues and psychiatric illness. I am trained to this level. Counselling is a process whereby the client is encouraged to explore their thoughts, feelings and experiences in order to resolve issues and move forward productively. Supervisors can often add an extra dimension to therapy by highlighting patterns of work that the therapist might have been unaware of, and assisting with potential problems. 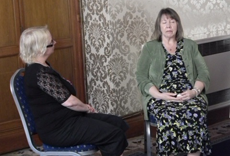 Hypnotherapy Holborn: Caring Hypnotherapy and Psychotherapy with UKCP Honorary Fellow, Fiona Biddle. Clinical Supervision also available. Welcome to my website! 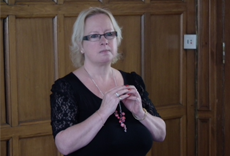 My name is Fiona Biddle and I am an award winning Hypnotherapist,Hypno-psychotherapist, Humanistic Counsellor, Professional Coach and a Clinical Supervisor (UK and USA). I have been in practice for over 24 years, which makes me one of the longest established hypnotherapists/hypno-psychotherapists in London (formally based in Leicestershire). It is my sincere hope that I will be able to assist you in your journey towards fulfilling your potential. I offer a caring and professional therapeutic service. In addition to my clinical work, I am also the Managing Director of the National College of Hypnosis and Psychotherapy, which is one of the longest established schools of hypnotherapy/hypno-psychotherapy in the world. I am also the co-author of 5 books on the subject ranging from Practice Building and Management to Hypnotic Coaching to Motivational Hypnosis. 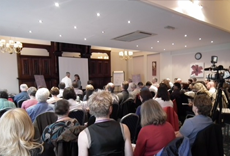 I am also a past Chair of the National Council for Hypnotherapy and currently the Secretary of the European Association for Hypno-Psychotherapy. I am registered with the UK Council for Psychotherapy and the Complementary and Natural Healthcare Council. UKCP registers psychotherapists who have a minimum of four years masters level training in psychotherapy. I hope you will find the information you are looking for on this site. If not please contact me and I will answer your questions personally. I look forward to working with you. Now available: hypnotherapy online or phone. So you can access my services wherever* you are in the world! For online therapy we use a system called Vsee which is free and very easy to install on your computer, tablet or phone. *there are some restrictions due to laws in other countries. If you are unsure, please ask. My practice provides the following professional services. It is important to note that I am professionally qualified for every service that I offer and I am registered with appropriate professional bodies.